Now that the New Year (2017) is here, many people will attempt to lose weight. It’s one of the most popular “New Year’s Resolutions”, but also happens to be equally one of the most failed New Year’s Resolutions. In any event, some people will stick to their guns & end up shedding off several pounds of unwanted fat. However, not everyone benefits from diet & exercise … or perhaps they become too impatient. For some, it may be wiser to select a form of bariatric surgery such as gastric sleeve or gastric bypass surgery. 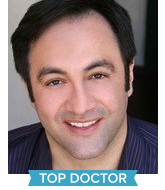 For others, they may turn to Beverly Hills plastic surgeons, such as Dr. Golshani. If you notice sagging skin in multiple areas including the face, neck, breasts, arms, abdomen, back & thighs. If you have lost a dramatic amount of weight (dramatic would be considered 40% of your BMI or more) as a result of bariatric surgery, diet & exercise. If your weight has stabilized following bariatric surgery (i.e. weight loss surgery), diet, or exercise, which may occur 18 months or more, following your weight loss. For many, a surgical option may not be in our best interest, however with amount of training, education & technology surgeons have available today most procedures are very comfortable & do not involve much pain or discomfort, as well as feature diminished post-op recovery times. Aside from this, there are considerations to be aware of. Say goodbye to loose skin, enabling you to fit into your clothes much easier. No more overhanging skin that may cause pain or discomfort for some due to chafing & rashes. Infections are also possible from overhanging skin. Significantly enhance your self-esteem and feel much better about your body in general. The results gained from surgery may not meet your expectations. You may have permanent scarring that may be minimized through the use of advanced surgical techniques by an experienced plastic surgeon such as Dr. Golshani. Your results may be affected by lifestyle choices, aging & diet choices. Liposuction remains one of the most popular procedures to lose the unwanted sagging skin & overhanging skin, however other plastic or cosmetic procedures may benefit you greater and they are tummy tuck, breast lift, arm lift, thigh lift, breast reduction, or others. Your plastic surgeon will review all options with you in person to find out which ones are the best. Dr. Golshani offers liposuction in Beverly Hills for patients looking to smooth or tighten sagging skin that may have resulted from dramatic weight loss either from diet & exercise or from weight loss surgery. For more information please visit our website or you may call our office @ (310) 274-3481. Traditional hair removal processes, such as waxing, shaving, and tweezing are effective but time-consuming. They don’t deliver a long-term solution for hair removal, plus they often result in nicks, bumps, and ingrown hairs. Fortunately, technological advancements led to the invention of an innovative hair removal system that not only offered a long-term solution to hair reduction, but also eliminated those irritating little problems. Laser hair removal has been around for over ten years, and is one of the fastest growing systems for removing unwanted hair. The allure of laser hair removal can be attributed to its convenience, effectiveness, and efficiency. It is a gentle way to permanently reduce unwanted hair from nearly any area of your body. So, how is it done? Adjustment of the laser equipment according to the color, thickness, and position of the hair being treated. Your skin color is also taken into consideration. Depending on the light source used, you and your technician may be required to wear eye protection. In some cases, a cold gel or special cooling device may be applied on your skin to protect the outer layers and keep the laser light from penetrating your skin. The technician will then illuminate a pulse of light to the treatment section and observe the area for a few minutes to establish that optimum settings were used, while checking for adverse reactions. When the treatment is complete, you may be given anti-inflammatory creams or lotions, ice packs, or cold water to ease any discomfort. Since hair grows in cycles, the procedure should be done in a series of 4-6 sessions, so you can schedule your next appointment 4-5 weeks later. Application on virtually any body area: the technique can be used for facial hair removal, particularly in the chin, upper lip, and eyebrow, as well as other body parts like the chest, back, underarms, arms, back, legs, and bikini, genital, and pubic area. Precision: lasers can be used to selectively target dark, coarse hairs, leaving the surrounding skin undamaged. Speed: each laser pulse takes a split second to treat many hairs simultaneously, so the technique can treat an area the size of a quarter every second. Small facial areas can be treated in under a minute, while larger areas, like the chest may take around one hour. Permanent reduction in unwanted hair, allowing you to enjoy smooth, soft skin immediately after the treatment. While laser hair removal procedures may seem costly at first, it will save you money in the long run. You won’t have to make endless purchases of razors, depilatory creams, shaving cream, or even have to schedule waxing appointments; hence, the efficiency, effectiveness, and convenience. Dr. Golshani offers laser hair removal treatment in Beverly Hills through his medi-spa laser clinic. He also offers BOTOX®, other dermal fillers, and skin care products for smooth, wrinkle-free skin. Ask us about our medi-spa clinic @ (310) 274-3481. Just when you start seeing results for your weight control results, boom! – It’s another holiday with plenty of feasting. From holiday gatherings to banquets and office parties, and all the festive cooking in between, for most, it is nearly impossible to not register a 5-pound weight gain. Instead of remaining seated at a party all night as you overindulge in food and drinks, consider getting up and moving by dancing the night away. Being active will not only break the ice at the party, but also burn some calories. Also, consider engaging in some general cleaning after the holidays. Sweeping, scrubbing, mopping, and other house chores will help you burn the calories you took in and you’ll feel good about yourself. You should know your pre-holiday and post-holiday tendencies. For instance, if you eat a fairly heavy diet and exercise 3x a week, consider that the threshold for the holiday season as well. This basically means that you can enjoy yourself as much as you’d like, but you must counterbalance the extra caloric intake with an extra workout for the week. For example, if you attend two dinner parties the same week, you should add the equivalent of two workouts to your weekly workout routine. 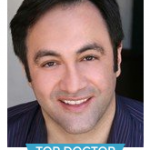 Dr. Golshani offers a personalized, comprehensive weight loss program in Beverly Hills. Aim to chew your food a little more before swallowing. This way, you can take in the tastes, textures, and scents in the food, making your experience more satisfying. At the same time, you will have the time to contemplate what you are eating, including the amount of carbohydrates and calories in your food, which will keep you from overindulging. Fill your plate with more protein than carbohydrates and fats. Proteins are associated with greater satiety (feeling full faster), which can help to maintain a healthy weight. Make sure you are selecting lean protein sources such as poultry, fish (i.e. salmon and cod), beans, and nuts. Besides watching what you eat, you should also watch your liquid calorie intake. Far often people subconsciously cast liquids as non-caloric. One beer can have as much as 100 calories or more. Too much caffeine or alcohol can not only increase your calorie intake, but also dramatically interfere with your sleep patterns. If chances are that you won’t be able to control yourself, it is better to get someone to look over your shoulder and help you stay on track. A family member or friend with similar health and fitness goals, and is committed to staying healthy during the holidays, can be a great accountability buddy. In fact, you should support and encourage each other throughout the holiday season. Really struggling to lose weight? Receive help from a Board-Certified Surgeon. Dr. Golshani offers a personalized, comprehensive weight loss program in Beverly Hills that addresses weight issues issues including nutrient deficiencies, sugar-addiction, poor digestion, gluten intolerance, intestinal yeast overgrowth, food allergies, and more.